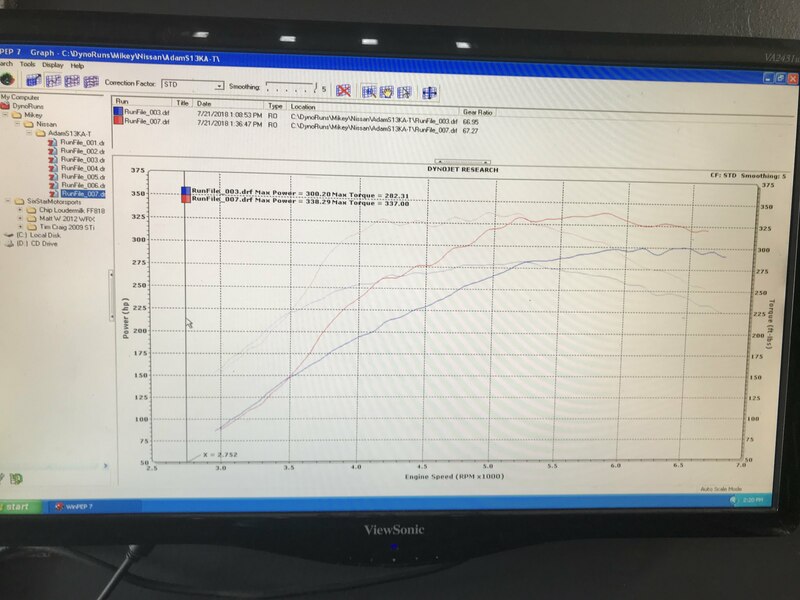 I wanted to share my Dyno/Build with everyone. Namely because it was the kind of info I was looking for when doing my build but I was not able to find. Generally, the two groups on here seem to be the ones really pushing the power envelope for serious racing or the persons looking to “Turbo their KA” ie stock everything except a small bolt on t25 or ebay turbo and a box of Chinese parts. I wanted a car with lightning fast response, excellent throttle modulation that will be reliable for many years to come. I do not have the time or inclination to pull my motor yearly. Most of all, this car needs to be ready to party, whenever there is a party! I only do time attack to dial in susp settings. Primarily a drift car. Trailered to events. Occasional Sunday cruise to keep the fuel system clean. The waviness of the “Party Mode” line was apparently related to waste gate flutter and conservative timing. Regardless, its not actually perceivable while driving. I am certainly willing to share my tune (MSQ file) with any megasquirt fans that care to have a look. Last edited by Ada180sx on Mon Jul 23, 2018 12:32 pm, edited 1 time in total. Nice respectable curve..cams doing a nice job. Considered going to the excessive intake manifold?